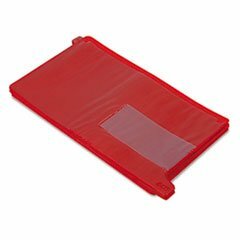 End Tab Out Guides with Pockets, Poly, Legal, Red, 25/Box by 4COU at KBFS. Hurry! Limited time offer. Offer valid only while supplies last. ** Clearly mark where folders have been removed. Small pocket holds charge-out form (sold separately). Large pocket holds documents to be filed. View More In File Guides.